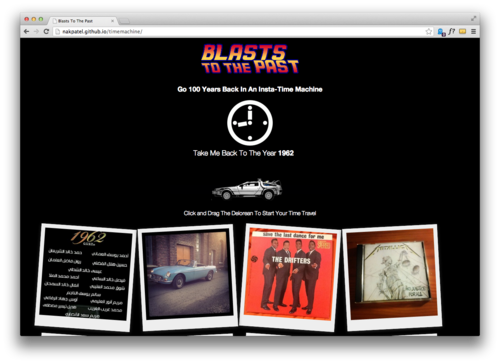 Shonak Patel: Blast from the Past! Kyree S. Williams: Grocery List Time! With a background in design, Kyree completed the first third of our curriculum in only two weeks! 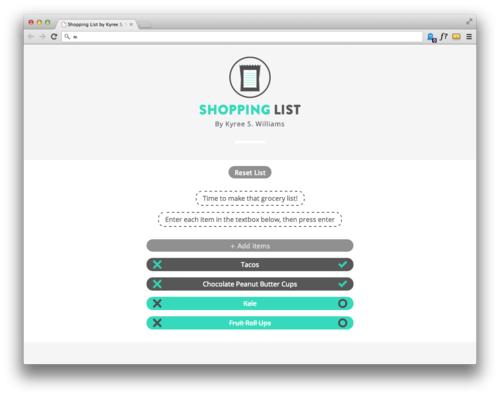 In his most recent project, Kyree used his Javscript + jQuery skills to build his own shopping list app. Marvel at his sleek design. Casey Wilson: Are You a Reality Pro? Way to go Casey! Two months in a row! She’s done it again. Let’s see if you’ve kept up to date with the latest gossip of “reality” TV. 5 shows, 5 questions - it’s QUIZ TIME. Sami was basically done with the course but had one more trick up his sleeve before he graduated. 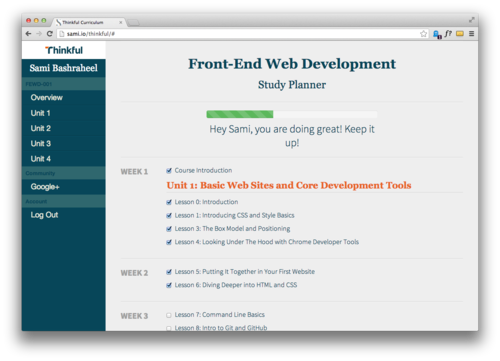 He asked us to send over the XML file of our curriculum for a “surprise” project: he built his own “progress tracker” for our course interface! [Note to students]: If you find this useful, get excited for what we’re about to release in the upcoming weeks!